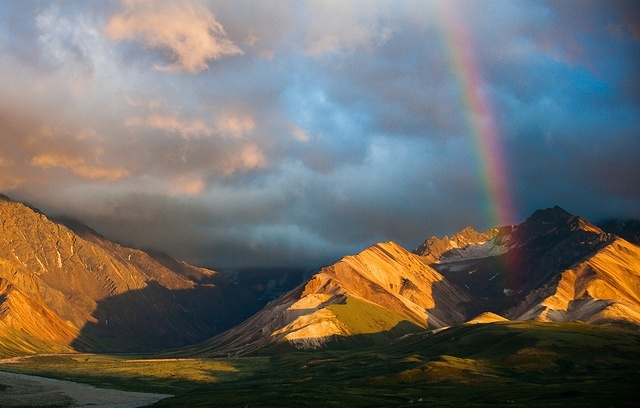 by Andy Higgs in Alaska, Features, Home, Places, USA. Alaska may the largest state in America, but it is distinctly different in many ways from the rest of the United States. The incredible scenic beauty and natural attractions make Alaska a popular cruise destination for travellers from around the world. Whether you want to stay on-board and enjoy the luxury of a cruise ship while taking in the magnificent views or head onshore to enjoy some of the adventurous recreation in Alaska, you can find a cruise that meets your needs. Here are the top attractions worth a visit on your Alaskan cruise. For more information on cruises to Alaska, visit Virgin Holidays Cruises! Wildlife lovers should make sure that they include the Denali National Park on their Alaskan cruise itinerary. Nestled among the park’s beautiful lakes, rivers and mountains are animals like caribou, moose, wolves and even grizzly bears. Avid hikers will love the incredible paths and trails that lead up and down Mount McKinley, which stands at well over 20,000 feet in height and is the tallest mountain in all of North America. This island is only accessible by boat or by plane, making it the ideal stop on your Alaskan cruise. Home to just 13,000 people, Kodiak is famed for incredible green summers and an old-fashioned way of living. Go hiking or cycling through the isolated island, dine on fresh seafood at the main port or just visit the impressive Alutiiq Museum & Archaeological Repository to better understand the history and heritage of the island. This incredible natural landmark is the longest protected inland passageway on the entire planet. It is a popular cruise stop in the fall, when the leaves turn bright shades of yellow, red and orange and reflect their colors onto the still water. In the spring, see the beautiful wildflowers and even migrating whales that pass through the protected inlet. Some smaller ships can pass through the passage, but large ones may dock just outside and send in private tour boats for their passengers. As the largest city in Alaska, it should come as no surprise that the port city of Anchorage is such a popular cruise port. In fact, a number of cruises actually start and end in the waters of Anchorage to make travel easier for passengers. In the summer, the region will receive roughly 20 hours of sunlight each day, making it an incredible place to tour. 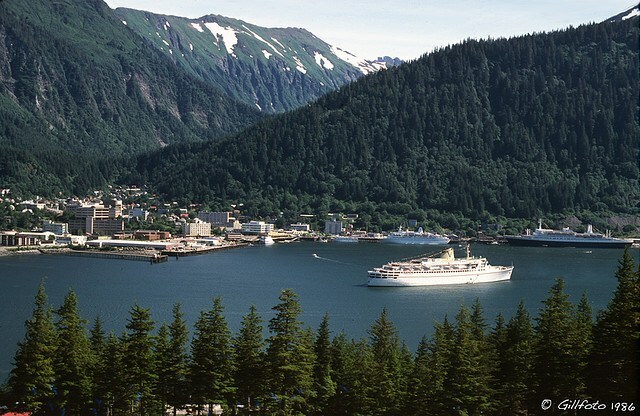 It is not unusual for three or four different cruise ships to dock in this Alaskan capital city each day during the summer months. Some of the many diverse attractions include the Alaska State Museum, hiking on the nearby Mendenhall Glacier West Glacier Trail, the Mount Roberts Tramway and the Alaska State Capitol Building. Visit Virgin Holidays Cruises here for competitive prices and deals. Terrance Richardson – desk by day, travelling by night. Enigmatic, huh?